Ras Mohammad is the most famous national park in Egypt and one of the most famous diving sites in the world. It is located between the coral reefs of the Red Sea and the inland desert of the Sinai. Ras Mohammed is the southernmost tip of Sinai. At the southern end there is a small stand of Mangrove. Beneath the crystal-clear waters of the Red Sea you’ll find a unique marine life. 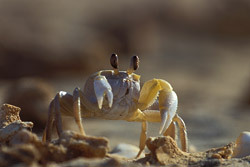 Even the animal life at Ras Mohammed is remarkable. 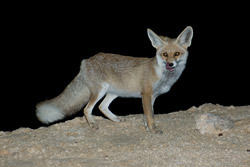 Storks make a stop during their annual migrations, sea eagles hunt in the shallow waters, foxes often visit the camp in the evening.